One of Samsung’s unique selling points in the Android phablet market has been the company’s S Pen. The multi-feature stylus comes with Samsung’s popular Galaxy Note line of phones, as well as the company’s tablets. Now, the pen is finally making the jump from Android devices to Windows laptops. 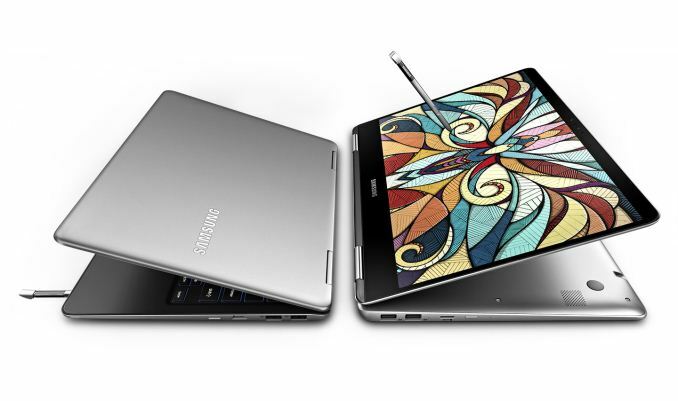 It will be bundled with the new Samsung Notebook 9 Pro, a laptop line the company announced this week at Computex. The 2-in-1 comes in 13.3-inch and 15-inch screen sizes and is powered by an Intel Core i7-7500U CPU. The S Pen can sense 4,000 levels of pressure and has tilt sensitivity for drawing in any position. Furthermore, as this is a passive stylus, it doesn’t require charging. Importantly however, the S Pen won’t be limited to just Samsung software, as it is compatible with Windows Ink Workspace. The 13-inch Notebook 9 Pro comes with 8GB of RAM and the 15-inch laptop uses 16GB. Both have 256GB of SSD storage, while the 15-inch model also comes with a discrete AMD Radeon RX 540 video card. Both screens are full HD, and Samsung claims they provide viewing angles of up to 178 degrees. In addition, both Notebook 9 Pros can charge via USB Type-C, and other ports include 2 USB 3.0 ports, HDMI and a microSD card slot. The laptops also support Windows Hello for facial recognition login. Unfortunately Samsung hasn’t revealed pricing information at this time, but it sounds like these laptops should be ready for the market sooner than later.